See the Plaza de Armas when you visit Puno. It’s found in the center of town. It is also the location of the Cathedral. Pino Plaza and the main pedestrian walk way between this small plaza and the main plaza. Lots of inexpensive options for dining here. A small clothing museum where they actually dress visitors in local clothing styles. Uros Islands – floating reed islands on Lake Titicaca built by Uros Indians. This is the most popular attraction for visitors to Puno. Read about our Uros Island Tour blog. 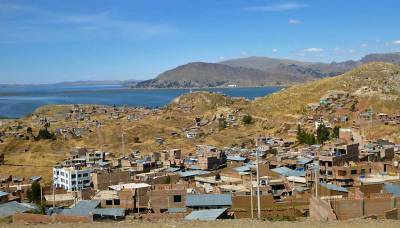 Taquile Island – about 3 hours by boat from Puno. 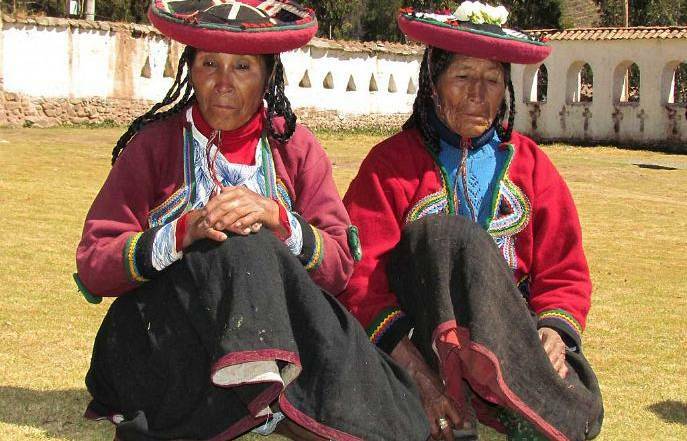 See male knitters who speak Quechua, the native Inca language. At the top of the island are monuments to Mama and Papa Capac, the founders of the Inca nation. Most hotels will book the tour for you. Home stay with a local family in the peninsula of Capachica or Chucuito. 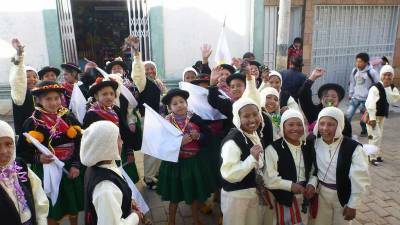 Tours can be arranged at hotels in Puno. Sillustani – is a pre-Incan burial ground on the shores of Lake Umayo. It is 34 km north of Puno. 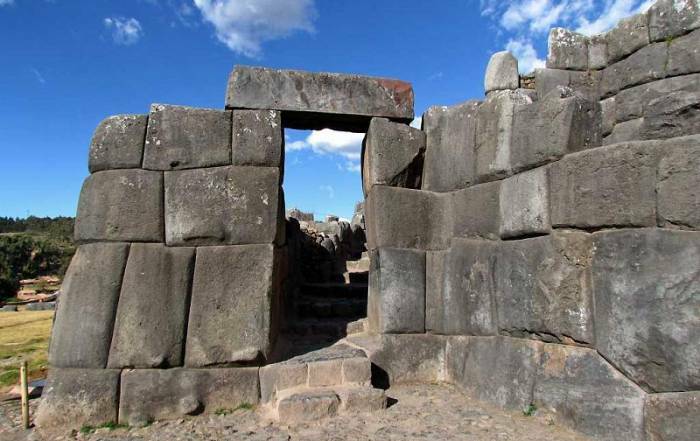 Pukara – located between Cusco and Puno. 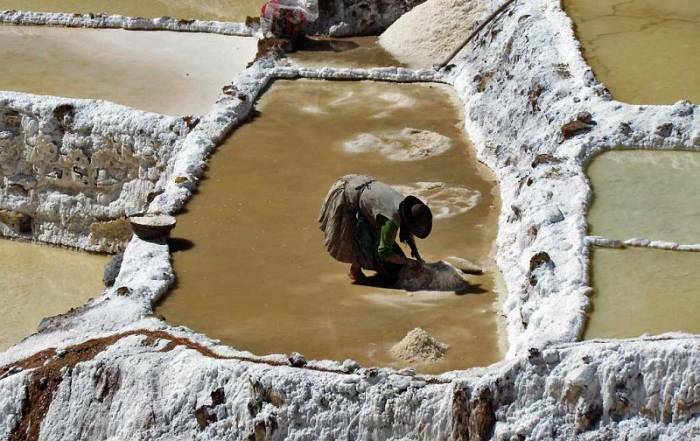 It has a history dating back to 500 BC. Pukara is famous for its bulls, both live and ceramic. The ceramic bulls can be seen on roofs and fence posts around the town. Libertador Lago Titcaca Puno – luxury location with views of Lake Titicaca and the Puno harbor. Sonesta Posadas del Inca Puno – close to town with lake views. Puno is a chilly city at night any time of year. Daytime high temperatures are consistent throughout the year. Expect average highs of about 63 F (17 C). During the summer months from November – March, the average lows are about 37 F (3 C). Temperatures at night are colder in the winter months from May – August when the average lows are 25 F (-4 C). There is also almost no precipitation at that time. 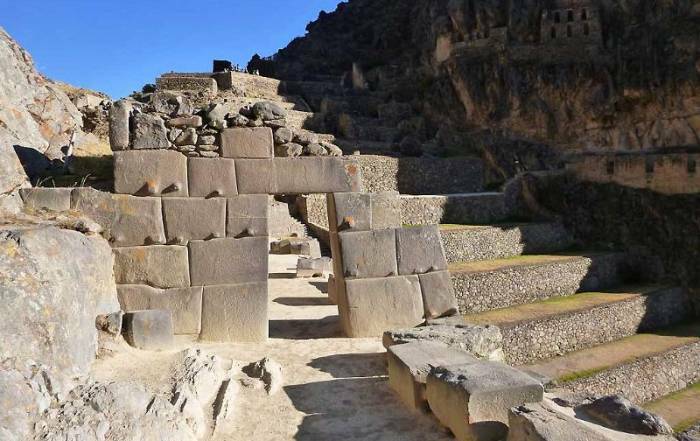 May and August may have the best weather in Puno, but the clear skies and festivals in Cusco and Machu Picchu in June will make that month a better choice to visit Peru. There are two ways to reach Puno. 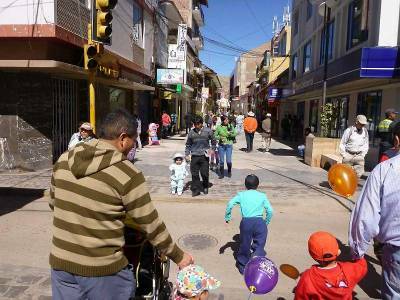 Visitors fly from Lima to the airport at Juliaca nearby or they take a full day train or bus ride from Cusco. The road between Puno and Cusco reaches a height of 4335 meters or 14,200 feet above sea level at La Raya Pass. 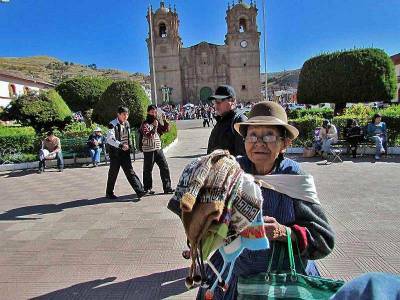 You will adjust much better to the altitude in Puno if you visit Cusco first. Flying in from sea level at Lima to Puno causes lots of travelers to suffer altitude sickness. 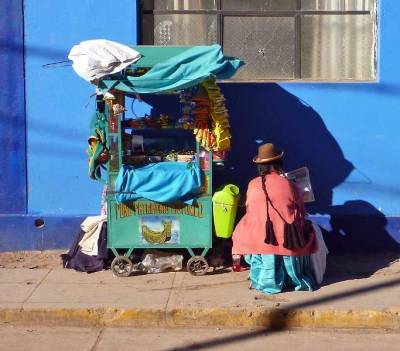 Organized tours are the most common way to visit Puno. 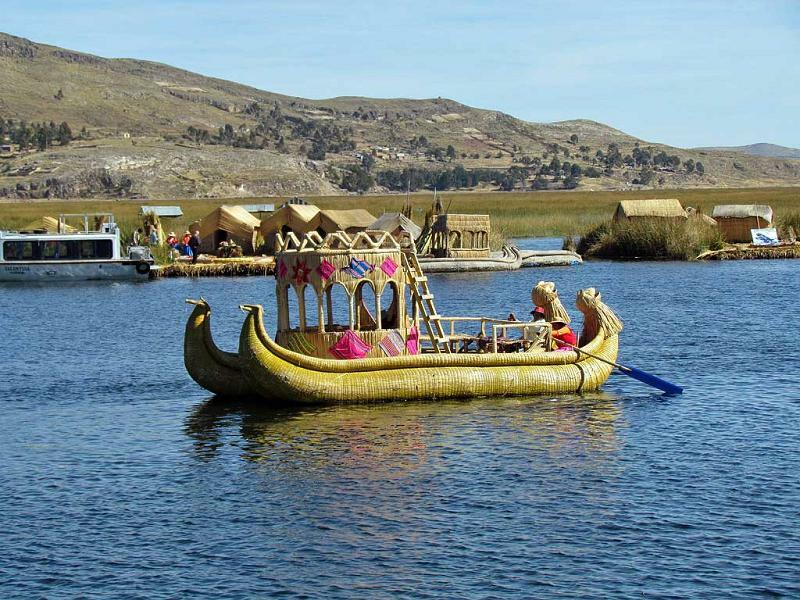 Local tours usually provide hotel pickup for excursions on Lake Titicaca. The town has taxis and tuk-tuks for easy transportation between the two town squares and the lakefront promenade. 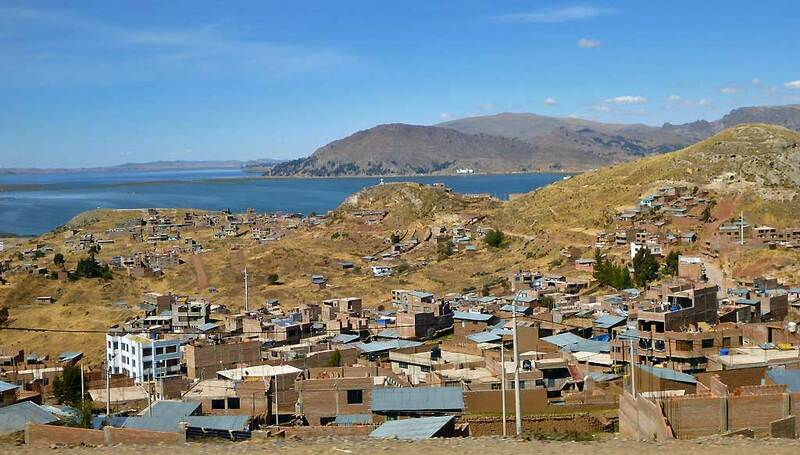 Puno is located on Lake Titicaca at 12,400 feet above sea level and has a population of about 100,000. 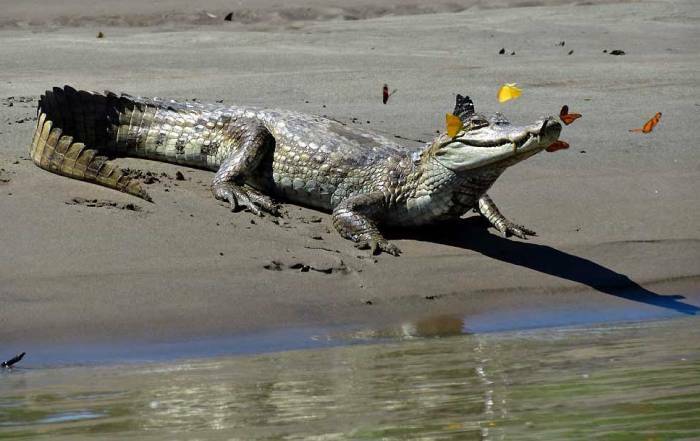 As you land at Juliaca, you’ll notice a different world immediately. Small adobe homes are built right along the fences at the edges of the runway. Puno too is distinctive from the rest of Peru. 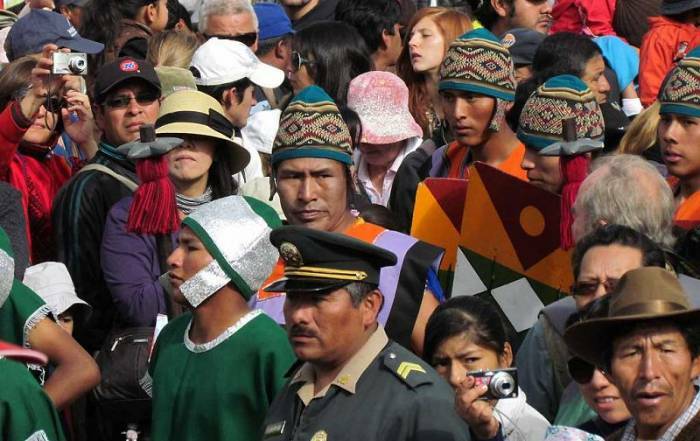 Distinctive hats for each clan make it easy to distinguish different groups. Many of the hats are European or 1930s America, but combined with the bright clothing, it creates a unique style. Women often have long dark hair.